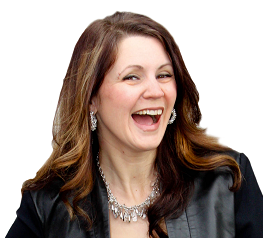 Jackie Thomas is the founder of Breakthrough Canada an innovative training and development firm that focuses on elevating personal and professional success. As a Breakthrough Expert, Speaker, and Body Talk Therapist, Jackie transforms lives through the power of unleashing desire, meaning, purpose and profit. Jackie has started a revolution of equipping people with courage and vision on their pursuit of bold dreams to catapult them to scale new heights for their life. Her breakthrough process provides her clients with a foundation for mindset success that translates positively through all aspects of daily life. Jackie specializes in helping women professionals whose anxiety and stress levels are affecting their ability to take the steps to create their life by design. Jackie helps women move through common barriers, such as self doubt, self talk and self worth so they can move from a condition based life to a possibility based life, experiencing, fun, peace of mind, and confidence. Using a variety of coaching and wellness based modalities and anchored in her 4 Pillars of Success, Jackie coaches women through barriers related to health, finance, career and relationships in both group settings and individual sessions.